Anyone with eyes to see realizes that the world is inexorably coming closer to the Geulah.The miracle of the rebirth of our people on our land, the miracle of being backed by the most powerful country on earth, the miracle of our people being a Center of inventive genius , the 'Startup Nation'. Events are happenning today which no one thought possible a century ago.And yet, so many of our people are drifting ,or have already drifted so far a way. How do you explain these words, to ourselves and to our brothers and sisters still living 'outside'? What kind of skewred religion is this?Isn't devotion, being close to haShem ,what it is all about?Prayer, I understand is religion, involvement with old religious texts ,maybe. But bringing people home; that is religion? And accompaning them away is even a greater mitzva ? How? 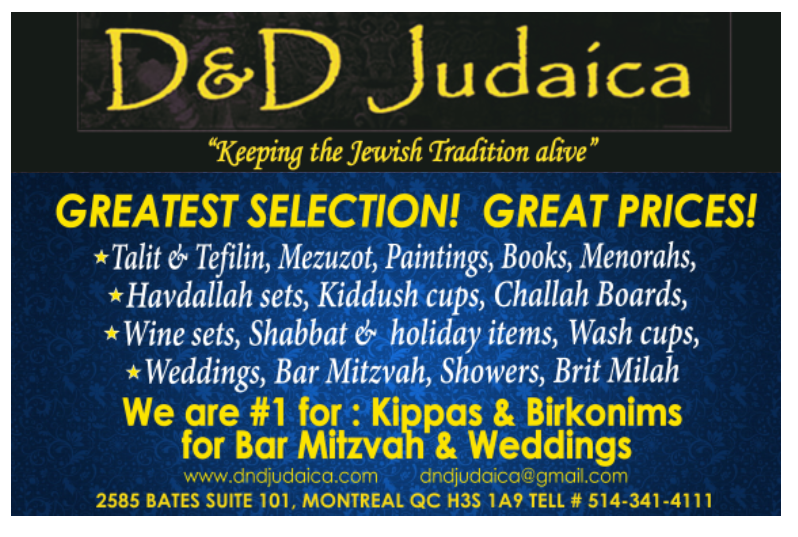 Is it so important for me, a staunch member of the Torah observant community of Montreal to have the answers? I think , yes.We live in an age when it is not possible to hide. 'Derech Eretz ' kodmah l' torah, the ways of living which our holy ancestors taught us, lay the foundation for all the centuries of labour in torah and prayer and we have gone through.Ultimately, becoming more genuine as jews,is what will bring the final, complete Geulah for ourselves and our kin , still living 'outside'. Israel Rosenberg: "We are all one nation and what makes us different is that we are really one spirit together. We are one soul so when someone gets hurt in America, everyone in Israel feels it into their soul because we are one connected soul." Maybe it relates to some of the thoughts we whad in mind to write. When the angels first appear to Avraham, he adresses them (or the Creator, two different opinions brought by Rashi), with the Name 'Adon--oy' -- my Master.Avraham was the first to use this name.We are created in the image of G-d, but haShem , the creator is not some uncontrollable power, he is our personal Master to whom we owe all the good and allegiance.He created us and put us intot his world and sustains us here; by going in His ways, we show our gratitude. Inviting another individual , also created in the image of haShem, into our home, is 'going in His ways'.I saw an incredible thought from the gaon Rav Yitzchok Soloveitchik shlite.That guest feels a little bit uncomfortable (as the seforim explain , since we are 'g-dly',it is difficult for us to accept from others,in fact , that is why we are placed in this world, to accept the 'g-dly' blessings through our work, so it should not be 'nahama d'kisufe -- 'bread of shame'. When the owner of the household, accompanies the guest away , he shows the 'free meal' was an honour for the owner, because he treasured the presence of guest. This ''levaya', accompanient ,is therfore the ultimate in going in haShem's ways. Being Jewish is not 'other worldly', it is bringing haShem into our lives, here on earth.That is why (according to the opinion that Avraham referred to haShem as 'Ado-noy)', he was in the middle of 'communion ' ,prayer, and asked haShem not to leave as he must attend to the guests.Becuase 'hachnasas orchim is greaer than accepting the 'shechine'. It is for this reason , we are given the holy Land.as the first rashi iun chumas says, really the torah should start with 'hachodesh haze teheye lachem' the first mitzva given to the peopel , 'kiddush hachodesh', the sanctifying of the new moonth, but 'koach maasov higid l'amo ltes lahem nachals goyim' .HaShem told his nation of His strength, Creation , to give them the land (take away from Canaan and give it to us.). Contrast the ways of Avraham, the lover of humanity, the giver ultimate with the ways ,in the coming parsha, of 'Chaya Sarah,Efron, whose words were so magnamious, so 'giving' ,but was actually out to cheat to the ultimate.